We know with the advancement in tech and mobile phone usage, online dating will not go away anytime soon. More and more apps keep appearing on the market. So which one do you prefer? Is it Tinder, Match.com, Zoosk, OkCupid, or Bumble, to name a few? Regardless of your preference, according to a recent survey of 2,033 US consumers conducted by pcmag.com, Tinder is the most popular online-dating tool/app in America ranking at the top in 27 states especially among 18 – 44-year-olds. 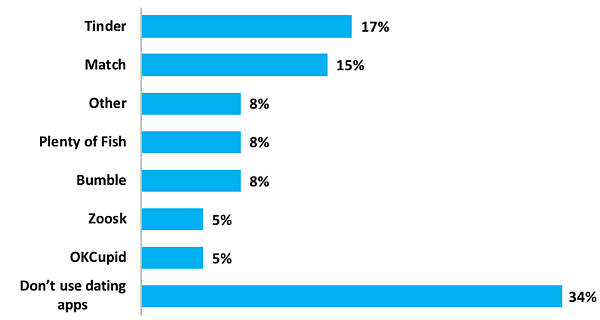 Match.com is more likely to be used by 45 – 65-year-olds. 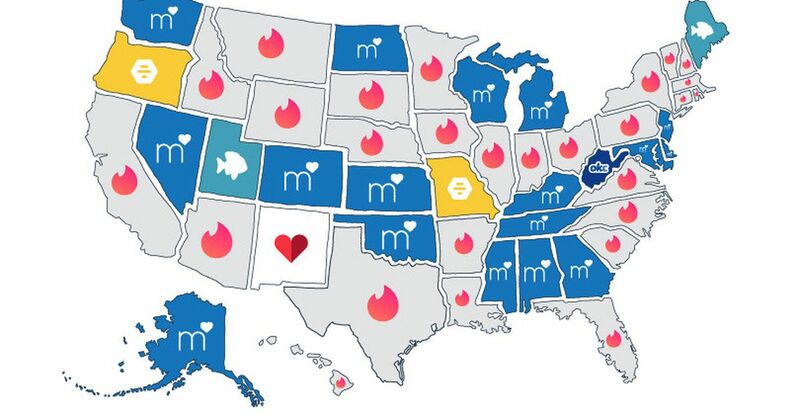 Oklahoma’s top pick was Match.com. Does this mean there is an abundance of single 45+ year-olds in Oklahoma looking for love? Sure, online dating has been around a while (it makes me think of the movie You’ve Got Mail), but the instant gratification of a single-swipe or thumbs up based on a picture and a single blurb of text describing your interests takes dating and relationship building to the next level. Welcome to a new age of dating, where it helps to be tech-savvy and open to a new kind of "blind-date."